Utah's Premier Mobile RV Detailing | Cloud 9 Detail, LLC. Interior & Exterior Mobile RV Cleaning and Detailing right here in Salt Lake City, Utah! Most Trusted. Most Reliable. Feel the Cloud 9 effect! Our mobile detailing service is a convenient way to have your car professionally detailed while you work, spend time with friends or family, or do other important things. 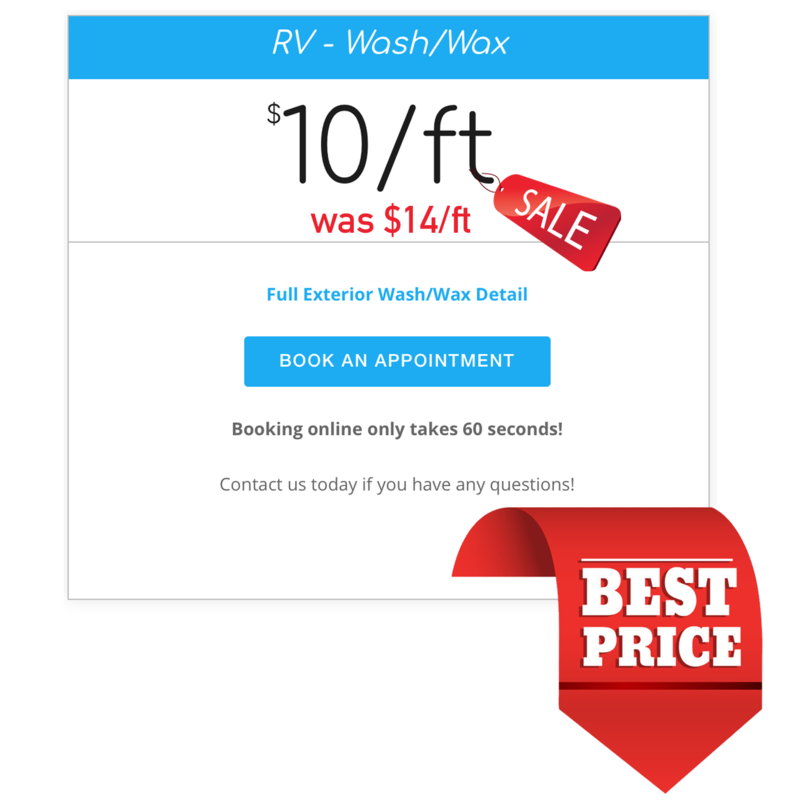 RV Detailing, RV Wash and Wax, RV Wash/Wax, Motorhome wash/wax, Motorhome cleaning, Motorhome wax, Motorhome detailing. Salt Lake City, Utah, Alpine, American Fork, Bountiful, Centerville, Clearfield, Draper, Kaysville, Layton, Lehi, Lindon, Magna, North Salt Lake, Ogden, Roy, West Haven, Hooper, Clinton, West point, Syracuse, South Ogden, South Weber, Plain City, Farr West, Reese, North Ogden, Marriott-Slaterville, Kaysville, Farmington, Orem, Pleasant Grove, Provo, Riverton, Sandy, South Jordan, Tooele, West Jordan, Clinton, Cottonwood Heights, Eagle Mountain, East Millcreek, Herriman, Highland, Holiday, Kearns, Millcreek, Murray, Riverdale, South Salt Lake, Stansbury Park, Taylorsville, West Valley City, Tooele County, Utah County. First, we start with a nice foam bath in order to loosen the dirt and particles from the surface of your RV. Then, we use microfiber towels in order to safely wash the RV without introducing swirls and scratches. All Bugs and grime are removed during this process. The tires and wheels are then scrubbed, cleaned, and shined. The RV is then hand dried using microfiber towels and blow dried to remove water from hard to reach areas. All exterior windows are cleaned and shined. 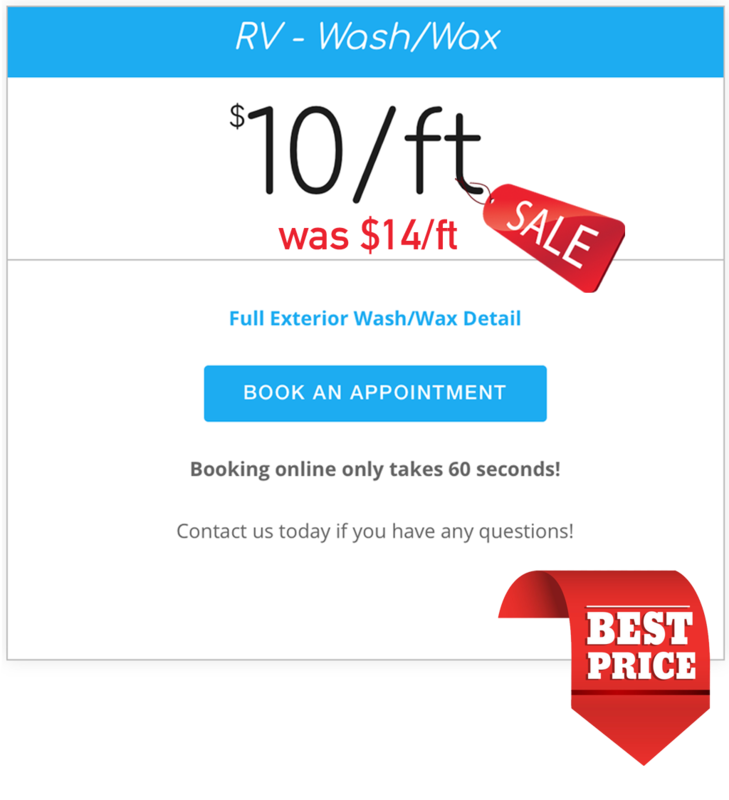 Wax Process: After drying your RV from it’s nice foaming bath, the RV is then prestigiously hand waxed using our premium ultimate high-quality Cloud 9 Wax guaranteed for months! Our Cloud 9 Paint Sealant shields the paint from harmful UV rays, environmental pollution, road derby, winter salt/snow and moisture. It is 100x better than a normal waxing. Our Cloud 9 RV wax will last 12 months! We will thoroughly clean all exterior storage compartments and make them look new again! Booking online only takes 60 seconds! Full Cloud 9 Detail’s are scheduled over the course of two days. Everything included in our Full Interior and Full Exterior details are combined into one package! Our Cloud 9 Paint Sealant is simply not a wax, but something much better! Our Paint sealant will improve depth, color, shine, and protection. Paint sealant shields the paint from harmful UV rays, environmental pollution, road derby, winter salt/snow and moisture. It is 100x better than a normal waxing. Our Cloud 9 RV wax will last 12 months! Be the talk around the neighborhood. 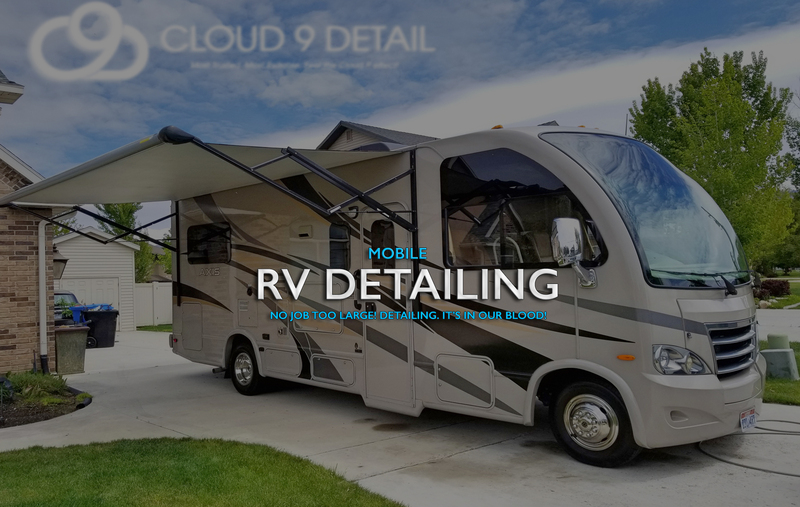 Get your RV detailed by Cloud 9 Detail! We treat you, your friends and family with the respect deserved! View our gallery to see why our clients are confident in trusting us with their vehicles. The results speak for themselves. © 2015 - 2018 Cloud 9 Detail, LLC.